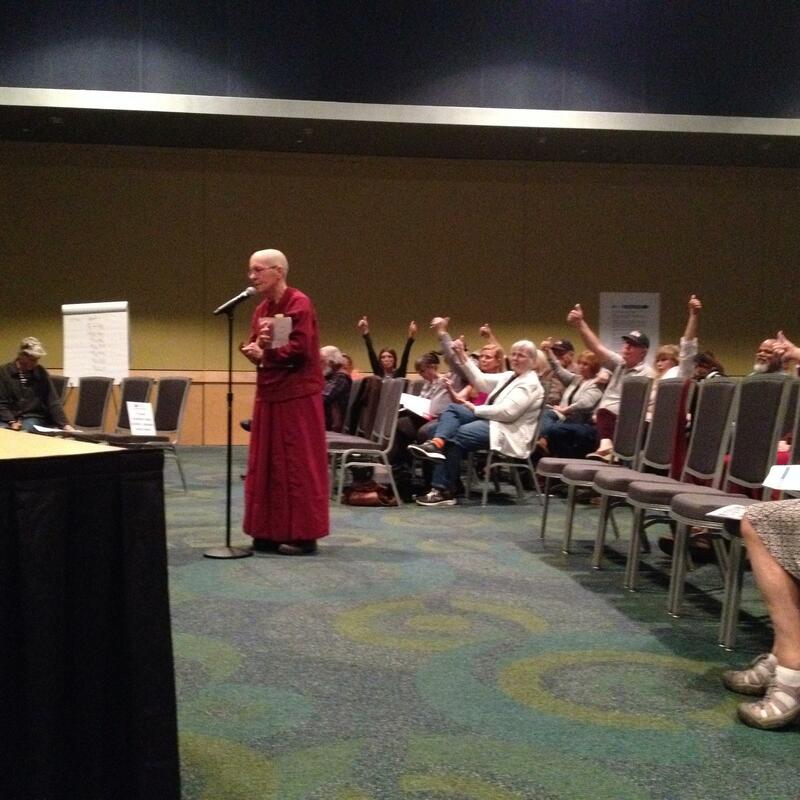 Thupten Sangye from the Srivasti Abbey near Newport shares her concerns about the proposed smelter at a Spokane hearing sponsored by the Department of Ecology. People who oppose the smelter cite a variety of environmental concerns, from the air pollution that will come from its stacks to the worries about the amount of water the plant will consume. Phyllis Kardos from the group Responsible Growth Northeast Washington doesn’t believe the proposal is ready yet to go through the regulatory process. “There are so many aspects of this that have not been revealed to us. We do not get the opportunity to see blueprints. They want to put in a spur railroad line. We have not seen anything. That would be a huge, huge impact on our community, that railroad line,” Kardos said. A group of smelter supporters in bright orange shirts sat in a block in the auditorium. Only one got up to speak. Scott Holstrom identified himself as the business manager for the Spokane union representing more than a thousand construction workers. The Department of Ecology will hold public meetings Wednesday night at Newport High School and Thursday night at the events center in Priest River, Idaho. 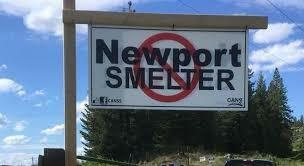 The public comment period for the initial round of the smelter public process will continue until October 26. A new survey of 400 residents of Pend Oreille County shows support and opposition of a proposed silicon smelter almost evenly split. The Robinson Research poll was commissioned by the Pend Oreille Economic Development Council as a tool to be used for strategic planning.